Patients at Monroe Carell Jr. Children’s Hospital at Vanderbilt with a certain type of leukemia will soon have access to a clinical study of a novel immunotherapy. 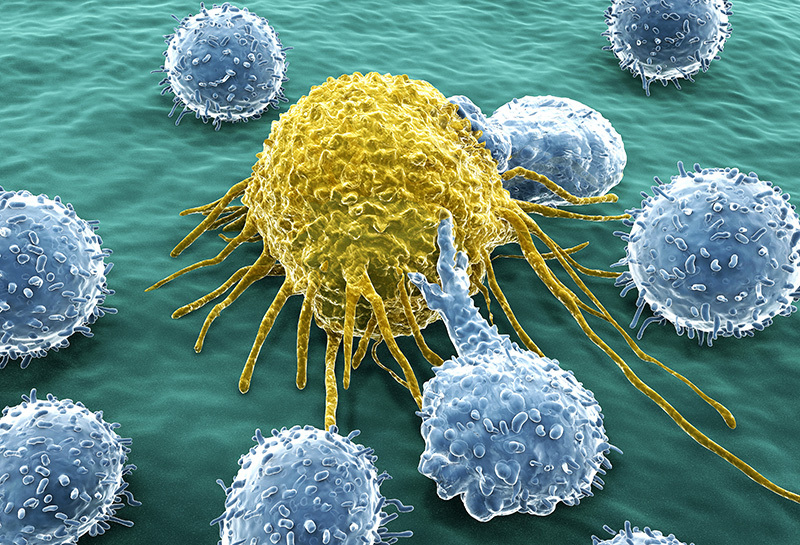 Their own immune system T cells will be reprogrammed to recognize and destroy the leukemia cells. Vanderbilt is the only center in Tennessee offering the study for patients with pre-B cell ALL (acute lymphoblastic leukemia). This is the most common form of pediatric leukemia, and typically 90 percent of patients are cured with intensive chemotherapy treatment, says Carrie Kitko, M.D., associate professor of Pediatrics. “The 10 percent of patients who don’t respond to chemotherapy have a very poor prognosis, and finding innovative new therapies for those patients is key,” Kitko says. The trial is a multicenter study in collaboration with a company that will engineer the T cells to fight the leukemia. The treatment works like this: a patient’s T cells are collected and shipped to the company, where the cells are engineered to express a chimeric antigen receptor (CAR). The CAR protein acts as an antenna on the T cells to help recognize and then destroy the leukemia cells. The engineered CAR T cells are grown in the laboratory, and then they are shipped back to the hospital where they are infused into the patient. “Every time the CAR T cell recognizes a cancer cell and kills it, that sends a signal to the CAR T cell to divide so there are even more of these cells fighting the cancer,” Kitko explains. Although CAR T cells are the patient’s own cells, patients can still develop serious complications that can resemble the problems experienced by transplant patients.